What followed was a mixed bag of realised hype and disappointment. The NFL went to great lengths to suppress the tapes, claiming copyright infringement. For the next five years, the league’s lawyers successfully kept Troy Haupt, who discovered the tapes, from releasing more than a few seconds of the footage to the media. Then, in 2016, three weeks before the kickoff of Super Bowl 50, the NFL suddenly released its own version of the game, which it had cobbled together from extant film reels and audio taken from an NBC radio broadcast. The NFL’s patchwork version of Super Bowl I left broadcast historians feeling cold. Indeed, the few available clips of the attic tapes (the restored versions of which remain locked away at the Paley Center for Media) seem to corroborate what veteran television engineers have known for years. However modest it may appear to the 21st-century eye, CBS’s broadcast of Super Bowl I encapsulated of the great technological strides taken during one of the most important eras in sportscasting history. 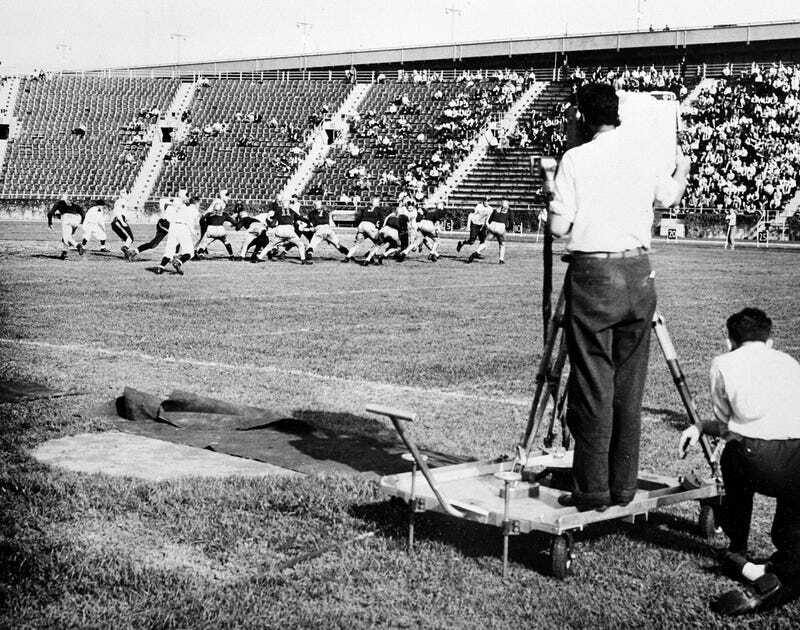 NBC broadcast the first ever televised American football game, a collegiate matchup between Fordham University and Waynesburg College, on September 30th, 1939. Orin Dunlap Jr., a radio beat reporter for the New York Times reported two weeks later that the network had set up two RCA iconoscope cameras for the broadcast: “one all-seeing electric camera perched on the rim of the stadium for a birdseye view and the other for close-ups along the sideline.” In a 1990 interview with The Main Event, Jack McPhee, a referee that afternoon, described the latter camera as a “railroad box-car,” which operators dollied frantically along the sidelines. RCA TK-41. By RCA (progettista/ costruttore), Houston Fearless 76 Inc. (costruttore), Taylor, Taylor &amp; Hobson Ltd (costruttore) - Catalogo collezioni (in it). Museoscienza.org. Museo nazionale della scienza e della tecnologia Leonardo da Vinci, Milano., CC BY-SA 4.0. Not to be outdone, instant replay also made a significant impact on Super Bowl I. Invented (at least in the abstract) by CBS Sports Director Tony Verna in 1963, early instant replay required an enormous 1,200-pound video tape machine. Two years later, the network commissioned a much smaller unit from the Palo-Alto based MVR Corporation. At 40 pounds, this machine, which looked like a classic turntable, captured up to 20 seconds of video on magnetic aluminium discs. 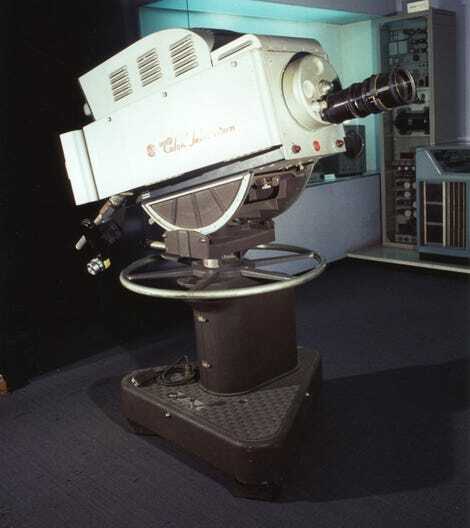 Engineers connected the MVR device directly to TV signals and pressed a “Freeze” button to stop action before important plays. Users then held this frame for as long as desired before hitting a “Play” button when cued from a production truck. All told, these innovations helped empower a resoundingly successful experiment in live broadcasting. Nearly 52 million people tuned in to Super Bowl I. Emboldened by these numbers, CBS purchased exclusive broadcast rights to Super Bowl II, at which time they ratcheted up their coverage with several improvements to the technology described above. 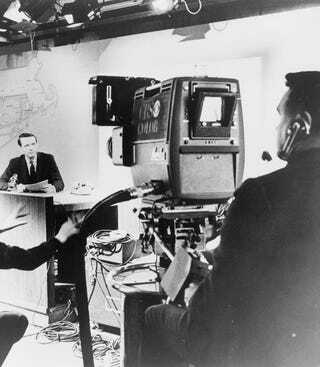 According to a January 13th, 1968 report in the New York Times, CBS positioned 12 cameras at the event, “including one in the Goodyear blimp.” They also employed four “video-tape machines” for “isolated replays and highlights,” as well as new magnetic disc recorders capable of presenting slow-motion instant replay in colour. As subsequent Super Bowls began to alternate between NBC and CBS, technological progress soon became one of several fronts in a war of networks. This catalysed an incremental-turned-exponential boom, which eventually saw the game transform into sportscasting’s version of the Consumer Electronic Show. This escalation, initiated in the very first Super Bowl, served as one of several key agents that forever linked the NFL to innovative television.